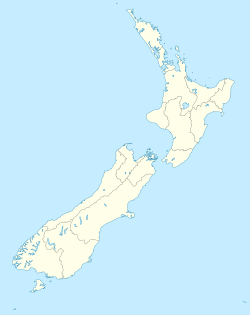 ^ Statistics New Zealand. Subnational Population Estimates: At 30 June 2013 (provisional). [2014-08-15]. ^ Auckland and around. Rough Guide to New Zealand, Fifth Edition. [16 February 2010]. （原始内容存档于2008年2月27日）. ^ Quality of living rankings spotlight emerging cities. Mercer. June 2014 [20 July 2014]. （原始内容存档于2014年7月26日）. ^ The World According to GaWC 2012. www.lboro.ac.uk. GaWC. [10 February 2017]. ^ Ferdinand von Hochstetter. New Zealand. 1867: 243. ^ Ngāti Whātua – European contact. Te Ara: The Encyclopedia of New Zealand. [3 October 2007]. ^ Michael King. The Penguin History of New Zealand. Auckland, N.Z. : Penguin Books. 2003: 135. ISBN 0-14-301867-1. ^ Russell Stone. From Tamaki-Makau-Rau to Auckland. University of Auckland Press. 2002. ISBN 1-86940-259-6. ^ Auckland Council's sister-city agreements. Auckland Council. [28 August 2016]. ^ Sister Cities of Guangzhou. [20 March 2015]. （原始内容存档于20 October 2011）.